A crocodile wallet or an alligator wallet comes in many different styles to suit all tastes. Distinctive patterns of a crocodile skin wallet and alligator skin allow us to create a varied range of crocodile wallets. You can find everything from the rugged cowboy wallet to classic luxury crocodile leather wallet. Networking the next black tie event James Bond style? Braving the outback alongside Crocodile Dundee? A real mens crocodile wallet has got you covered for any occasion. Crocodile wallets are in a class of their own. We’re proud of our genuine crocodile wallet range and our custom croc wallet designs. Be sure you’re getting the “real deal”. Crocodile skin wallets are superior to caiman or an alligator skin wallet. 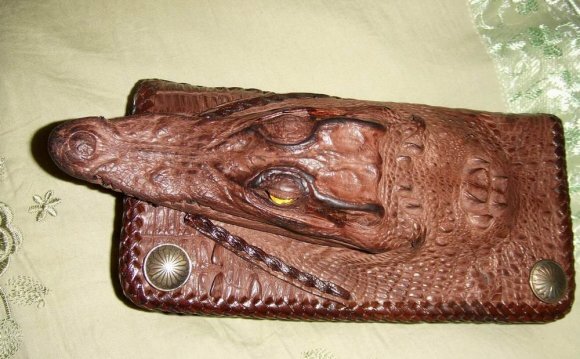 These are often sold as a crocodile wallet online. We are king of the crocodile mens wallet, crocodile is what we do best. But don’t take our word for it, check around and see how we stack-up against the rest. We know you’ll be back!